The Hidden Portraits exhibition in New York was an art exhibition featuring portraits of iconic thinkers, all created by fifteen artists with the help of IBM Watson artificial intelligence technology. Watson analyzed vast amounts of data about each thinker – including writings, letters, speeches, sketches, photos, handwritten notes, and even music – the most unexpected of Watson’s findings were then interpreted in the making of a series of original portraits. 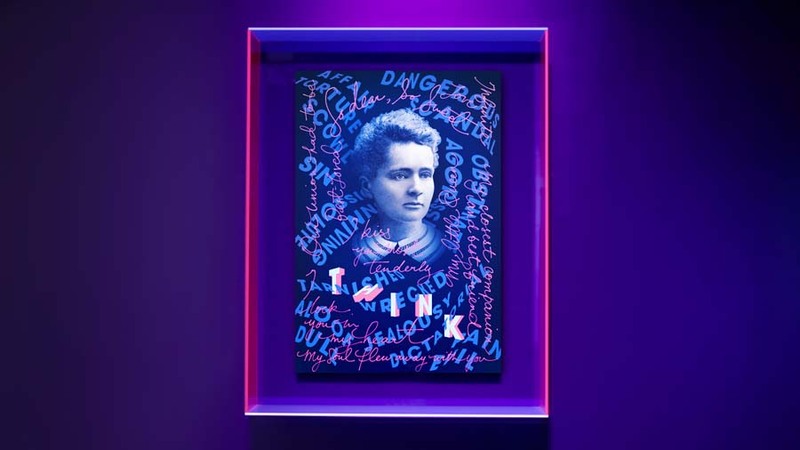 Artist Sean Freeman and creative partner Eve Steben from London-based THERE IS Studio were commissioned to give their take on a portrait of Marie Curie, integrating data from historical literature and personal writings. Our team at Capital has been working with THERE IS for many ‘cutting’ projects, and we were delighted to be involved for the first time with them on a model-making assignment – especially one as prestigious and interesting as this. 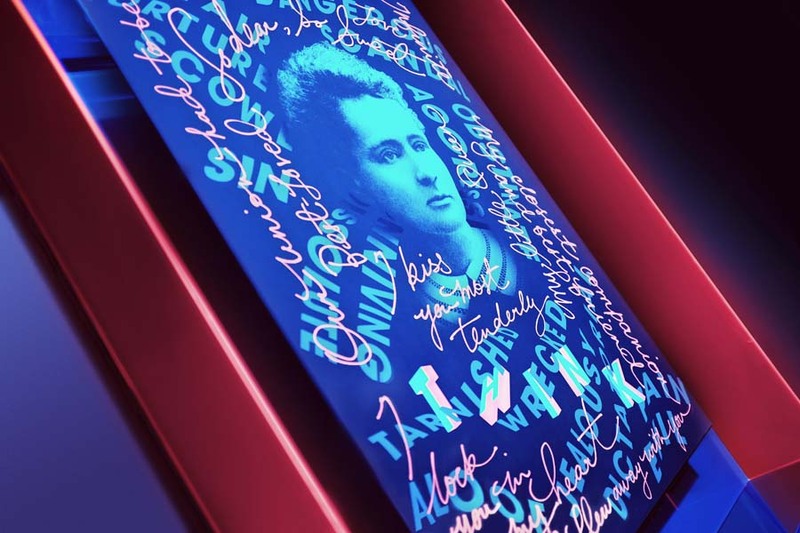 We brought their shadow box design to life for the Marie Curie portrait using several colours of live edge acrylic and blue acrylic mirror, in which we carefully mounted the screen-printed artwork panels. The delicate 3D piece safely travelled to New York in one of our bespoke case. The installed artwork was illuminated under ultraviolet lamps producing a stunning effect of changing colours, as well as glowing elements appearing and disappearing under lighting transitions.